The biggest Panzer Corps tournament has concluded and we’re pleased to announce the winners. 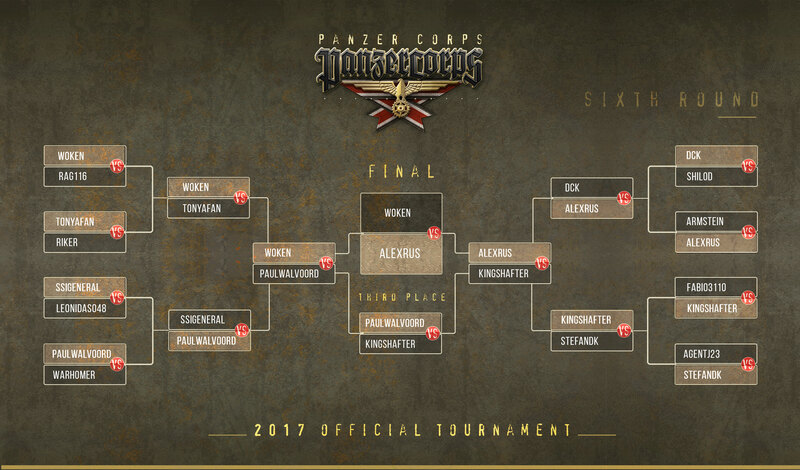 AlexRus is now the 2017 Panzer Corps champion! The runner-up is Woken, and in third place is Paulwalvoord. Our congratulations for the brilliant generals! Slitherine have announced nice gifts for the winners: coupon discounts and unique forum icons. We would also like to thank Goose_2. It was his idea to run this tournament, and without his a tournament of this magnitude wouldn’t have been possible. AlexRus and Goose_2 will go down in history and have heroes named after them in Panzer Corps II!